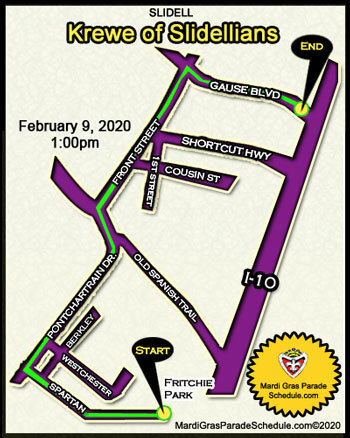 The” Krewe of Slidellians” will roll the streets of Slidell on February 17,2019 at 1 p.m. The Slidell Women’s Civic Club is a group of vibrant women who have one trait in common: the desire to serve the Slidell community. They are proud enthusiasts of the family atmosphere, business opportunities, and cultural events of Slidell, LA. As a non- profit organization, they are here to promote civic and community responsibilities. Founded in 1947, the Slidell Women's Civic Club was formed to foster service to a then small community with the promise of growing to a larger town in eastern St. Tammany Parish. They are dedicated to fostering the civic, welfare, cultural and social interest of the community of Slidell. The organization is involved in numerous activities and community projects.